FloBikes will be broadcasting the Giro d’Italia live in the U.S. and Canada. (As well as providing daily replays.) In addition to the Giro, we’ve added classics and monuments like Amstel Gold and Il Lombardia to our 2018 live events schedule. This is—we would argue—the most robust broadcast calendar of pro cycling in North America. FloBikes’ PRO accounts, required to watch live events and replays, start at $30 per month, or $150 per year (we like to look at it as $12.50 per month). A PRO account provides access to premium content across every site in the FloSports network. Is there an app, you say? Yes! Download the FloSports app to watch live on Roku, Apple TV 4, or your favorite IOS device. And what else will you get? Allow us to point out some highlights (and please, take a look at our full North American live broadcast calendar below). 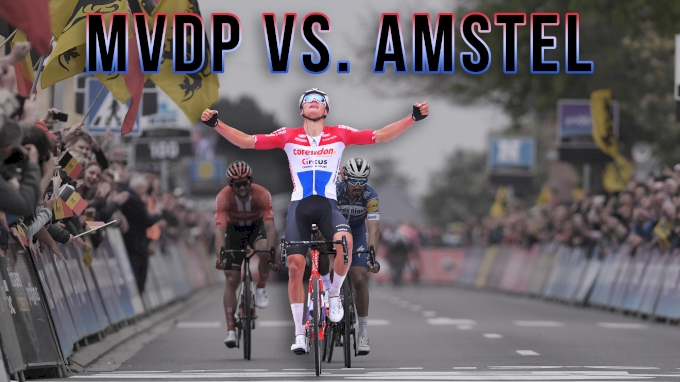 On FloBikes in 2018, you’ll get to watch the aforementioned Ardennes classic Amstel Gold, live this Sunday; the Tour of the Alps, starring Chris Froome, Fabio Aru, and Thibaut Pinot starting on Monday; the Tour of Romandie; the Giro d’Italia (the Giro! ); the Tour de Suisse (aka the the pre-Tour test race starring Peter Sagan); America’s toughest stage race, the Tour of Utah; and world-class cyclocross racing all fall and winter. Plus, you get more—much more. In 2019, annual subscribers will get monuments Milan San Remo and the Tour of Flanders, as well as nearly all of the early-season classics, starting with Omloop Het Nieuwsblad. In addition to our live events, we’ll continue to provide day-to-day coverage of the sport as well as in-depth feature stories and videos. For example, you can see our exclusive look inside Tom Boonen’s new career as a race car driver, Nate Brown’s KOM-winning ride at the Tour de France, and the inspirational comeback of Olympic hopeful Josh Hartman. Subscribers will also have access to premium training plans and videos from some of the top athletes and coaches in the world. At FloBikes, we’re avid cyclists, racers, and fans of pro racing ourselves. We believe in this. We, like you, have long been subject to a disparate and difficult-to-access broadcast landscape in the sport we love so much. But no more. We think this is a really good deal. We hope you do, too. And we hope you join us. Sign up for a PRO account, and watch some of the best bike races in the world.